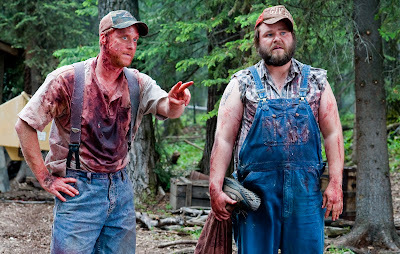 If you’re a fan of horror comedies then this film is custom made just for you. With a mixture of gore and comedy it’s hard to not like this film, especially the characters Tucker & Dale, played by the fantastic actors Alan Tudyk & Tyler Labine. They make such a great duo that it’s hard not to love them, especially with their vulnerability and gullibility. The dialogue between them and other characters is just genius. 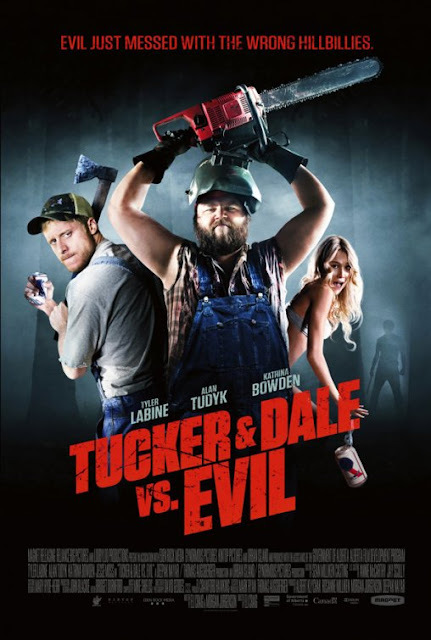 It’s obvious that the writers, Eli Craig & Morgan Jurgenson, know their Horror and have put that knowledge to great use whilst putting a great comedic twist into it that works so well. . The effects in the film are so fantastic and so over-the-top, but you want that in this type of film, it works just like it did in "Evil Dead" where more was better. Not only are the death scenes brilliantly done, they're also HILARIOUS! Which just adds so much to the film. The film was a HUGE hit at the 2010 Sundance Festival, and when you watch it you realise why. It’s rare that a film can gross you out one second and have you in stitches the next. It’s easily the best Horror-Comedy since "Shaun Of The Dead", and I stand by that comment. The film was a sleeper hit, mainly among Horror fans in the know, but this film seriously should have been huge and I still don't understand why it wasn't. I whole heartedly recommend this to anyone who loves their horror films but also likes a good laugh, it won’t disappoint you one bit!